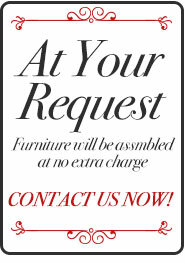 At International Furniture, we offer so much more than just affordable brand name furniture. We are pleased to also provide an extensive selection of high quality mattresses that will help you attain the best sleep of your life. We sell mattresses from some of the most trusted names in the industry, including Sierra Sleep, Spring Air, Chatham & Wells, and so many more. Our mattresses come in five sizes, and we have a variety of mattress types available made from comfortable and innovative materials. Learn more about the different mattresses we sell at our Fresno, CA mattress store to help you determine which one is the right fit for you. Innerspring mattresses remain one of the most popular mattress types on the market. These mattresses feature a metal coil support system, and the more coils the mattress has, the more support it provides. Innerspring mattresses come with a variety of comfort layer options, making it easy to find one that is perfectly suited to meet your needs. We have plush, pillowtop and Euro top innerspring mattresses for sale that provide soft, cloudlike comfort at a conveniently low price. Memory foam mattresses are made from a firm viscoelastic foam that provides superior body-contouring capabilities. These mattresses mold to your body, helping to evenly distribute body weight and promote proper spinal alignment. A memory foam mattress is a popular choice for couples since it also provides movement absorption, which makes it possible for one person to toss and turn through the night while the other person remains undisturbed. Gel foam mattresses are the perfect choice for “hot sleepers,” or people who feel excessively hot in the middle of the night. These innovative mattresses function similarly to memory foam mattresses, but with the addition of small gel beads mixed throughout the foam. These gel beadsprovide a cooling effect that will help to regulate the mattress temperature and leave you with a cooler, more comfortable sleep surface. 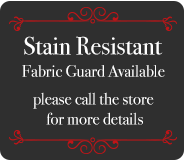 If you are ready to purchase a new mattress, visit our Fresno, CA furniture and mattress storetoday. At International Furniture, we can help you find the perfect new mattress at a price you will love!.